Artists In Music Awards revoke title from Calico the Band and unanimously award 17-year-old Singer Songwriter and Country Artist McKenna Loren as the recipient of the award for Best Country Artist at the 3rd Annual Artists In Music Awards. LOS ANGELES, Calif. - For the first time in AIMA’s 3-year history, the Board of Judges revoked Calico the Band’s 2014 award for Best Country Artist on Sunday and named McKenna Loren as the recipient for the title by unanimous decision. 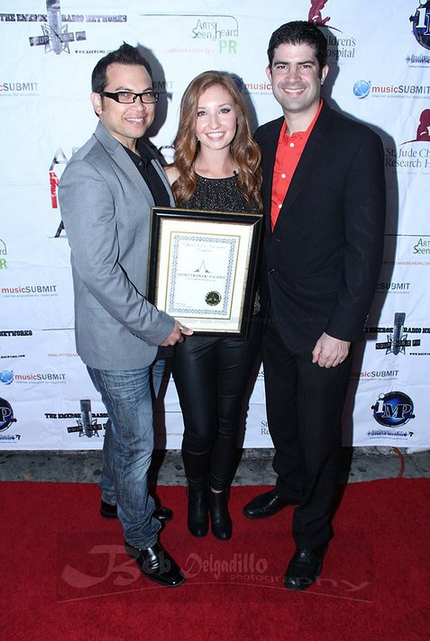 The Los Angeles based music awards platform took action when recording artist Calico the Band were a “no show” at the 2014 Artists In Music Awards held at Jon Lovitz Theatre on February 7. The rules state that all nominees must be present at the awards ceremony otherwise elect to have a representative appear on the artist’s behalf to collect their award. Calico the Band was awarded the AIMA trophy for Best Country Artist during the Awards Ceremony held at Jon Lovitz Theatre in front of a 700 plus crowd consisting of 150 Nominees, media, and various guests. After the Best Country video of nominees was played on the big screen, MC of the show, Nic Creznic opened the envelope to announce that Calico the Band had won, nearly 30 seconds past by before moving onto the next category. “It feels like an eternity when we call out the winner’s name and no one is there to collect the award. It’s not only awkward to the host, but it’s awkward to the audience. More importantly, it’s disrespectful to the artists that travel hundreds of miles to be here, especially when everyone except the winner is there” – Mikey Jayy, executive producer. The Artists In Music Awards Board of Judges reviewed the circumstances surrounding the event and we’re given as long as they needed to make their decision. After only three days of deliberation, all votes pointed toward revocation of the title and was decided that the 17-year-old Country Singer Songwriter McKenna Loren would receive the title of Best Country Artist for 2014. The 2014 Board of Judges are Lea Reis (Record Producer), Dan Burns (Record Producer), Jeff Weber (Owner of Weber Works Entertainment), Guy Towe (Radio DJ), Gus Summer (Radio DJ), Fredrick Rawlins (Musician), Margaret Guiraud (Talent Agent), Walter D Hargrave (CEO/Owner of Indie Music Bus), Carol Riodan (Radio DJ), and Mark Lamdanski (Radio DJ). Music has been a constant in McKenna Loren’s life, but it wasn’t until she made a move from the Midwest to Arizona that she started writing down what was inside of her. “The unfamiliar surroundings and the way that I felt there opened my eyes and brought new sounds and thoughts together that inspired her EP, DIVE IN, which release on June 25, 2013. 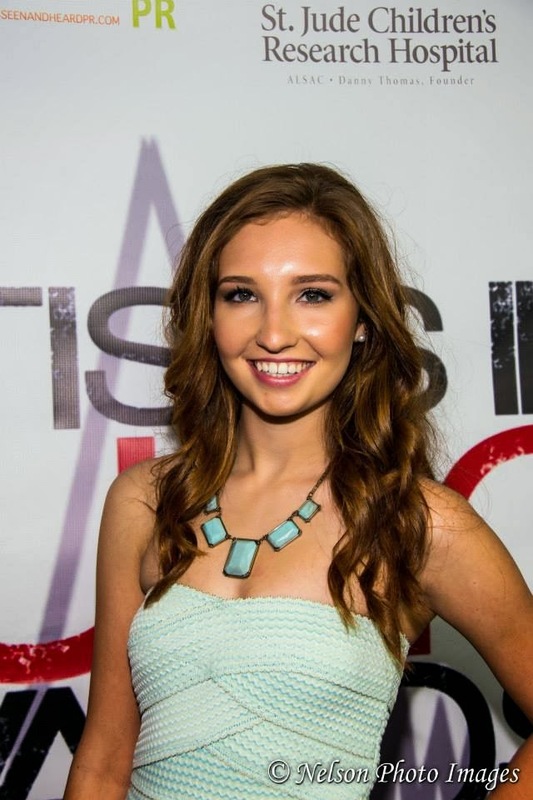 McKenna soon began recording her originals with Otto D’Agnolo of Chaton Studios in Phoenix. McKenna Loren’s musical influences go as far back as Billie Holiday and Kay Kyser and are as immediate as The Killers, Florence + The Machine, and Lana Del Rey. Listeners can hear her music on several radio stations across the US including KGUP 106.5 FM, WOS Radio, WOAfm99 (India/Dubai) Butterflies Radio, and TRS 24/7 Radio. Watch her music video for “You Can’t Beat The City” on Youtube. McKenna’s video was also included in Season 2 of WOA TV – All Things Music.